1. Finely chop the figs in a food processor. Add the cream cheese and process until combined. Add the salmon, walnuts, and salt; pulse just to blend. Scrape into a bowl. Add the scallions, if desired. 2. 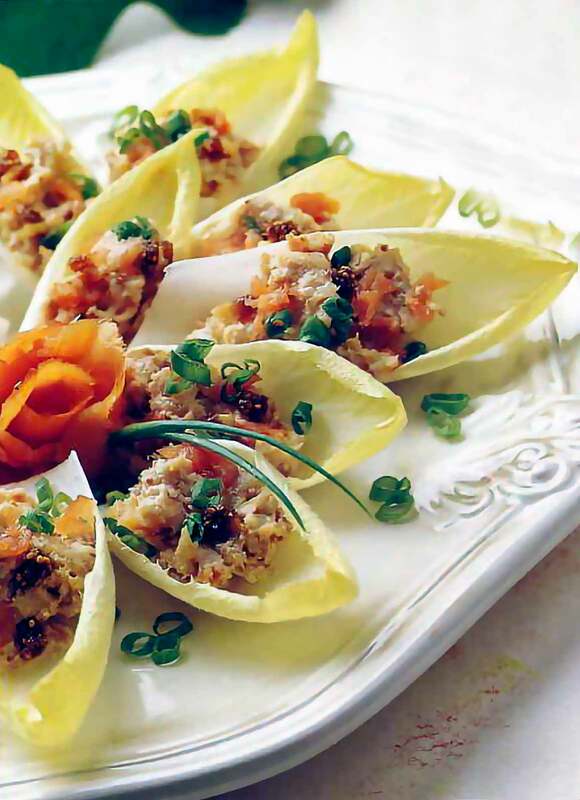 Serve the spread on crisped endive leaves, celery boats, crackers, apple or pear slices, or toast, or use it as a sandwich spread. To finely chop figs in a food processor, lightly brush or spray the inside of the processor bowl and the metal blade with vegetable oil. 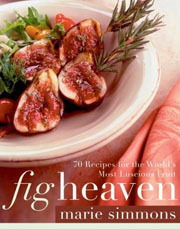 If the figs are unusually dry, reconstitute them in boiling water for 10 minutes; drain and blot dry before chopping. Cream Cheese Spread with Smoked Salmon Recipe © 2004 Marie Simmons. Photo © 2004 David Campbell. All rights reserved. All recipes and photos used with permission of the publisher.